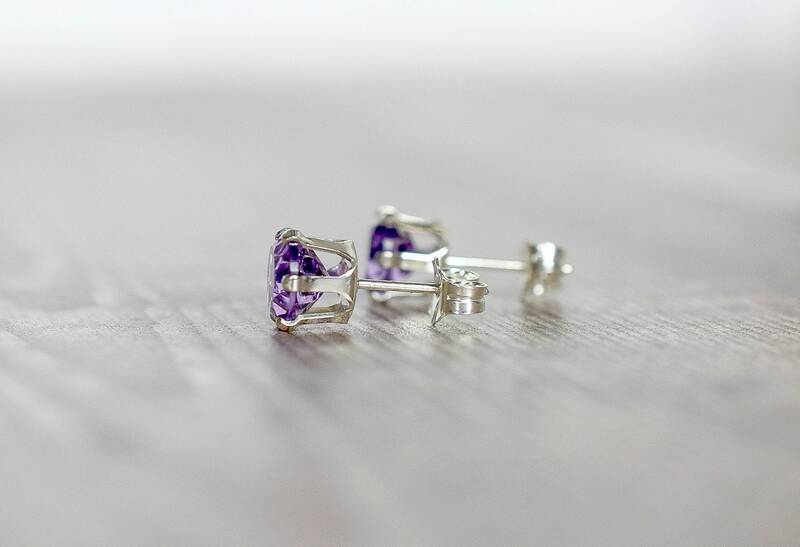 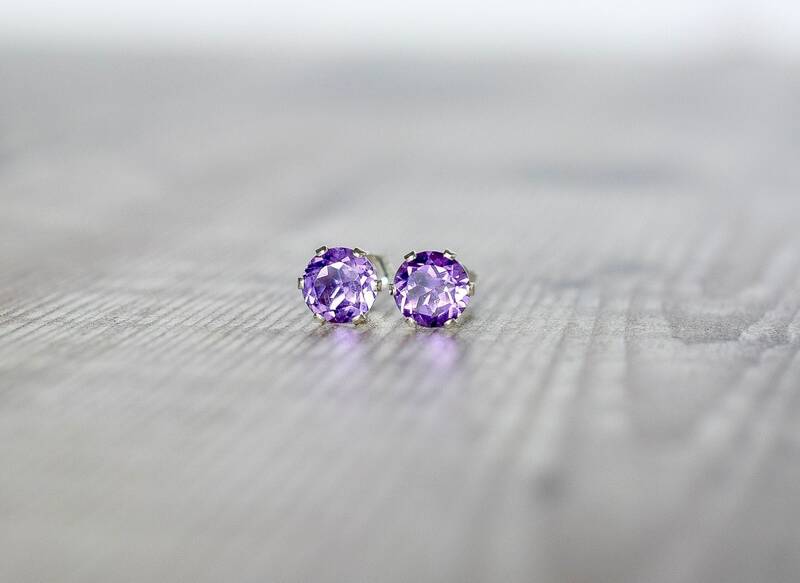 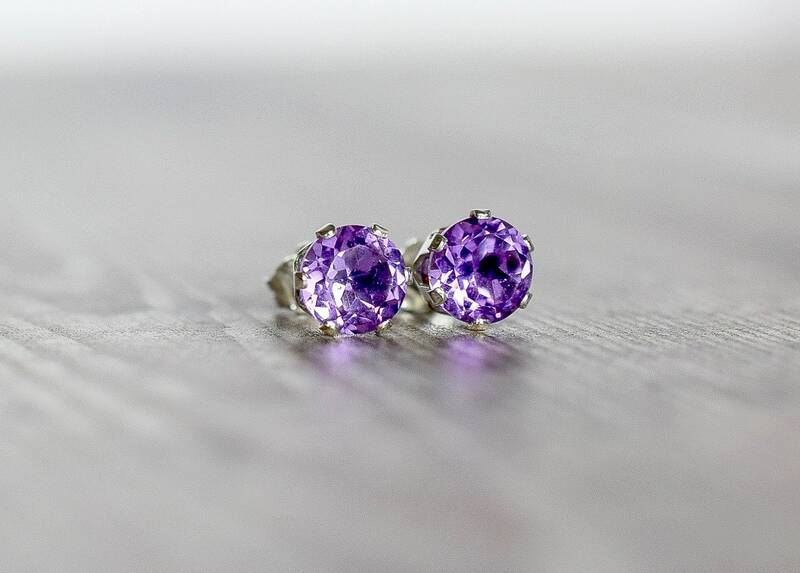 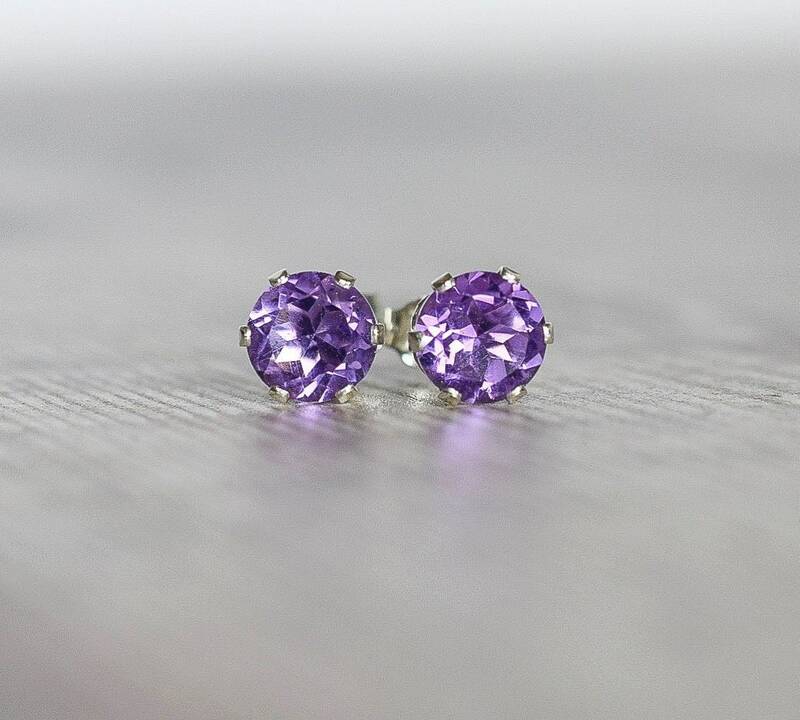 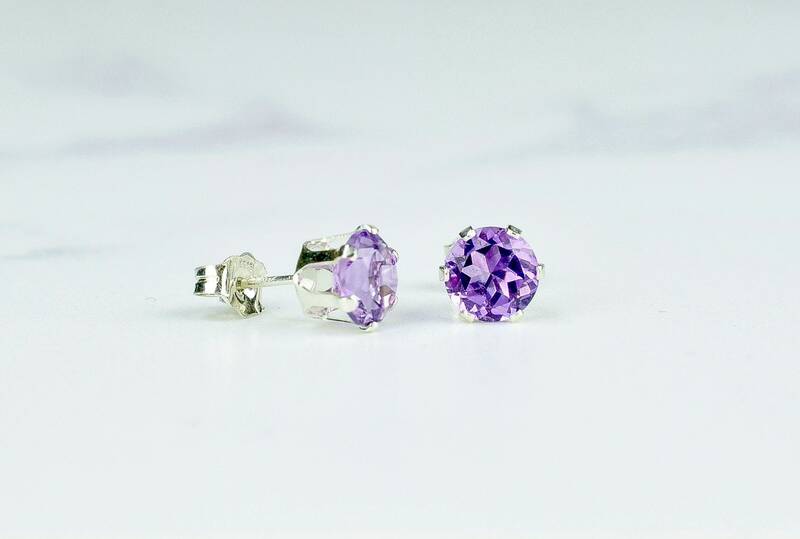 African Amethyst Silver Stud Earrings. 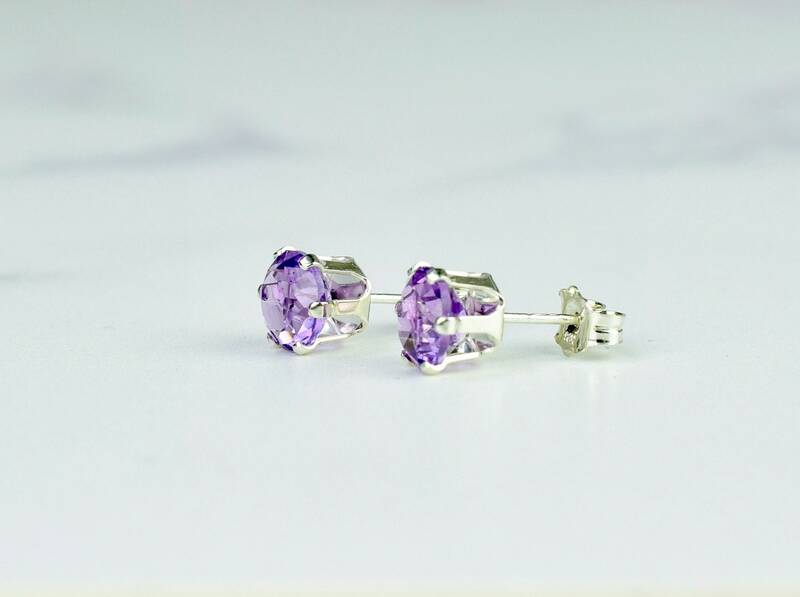 These dazzling earrings are made with rich purple African Amethyst gemstones and set in 925 Sterling silver 6-claw ear settings. 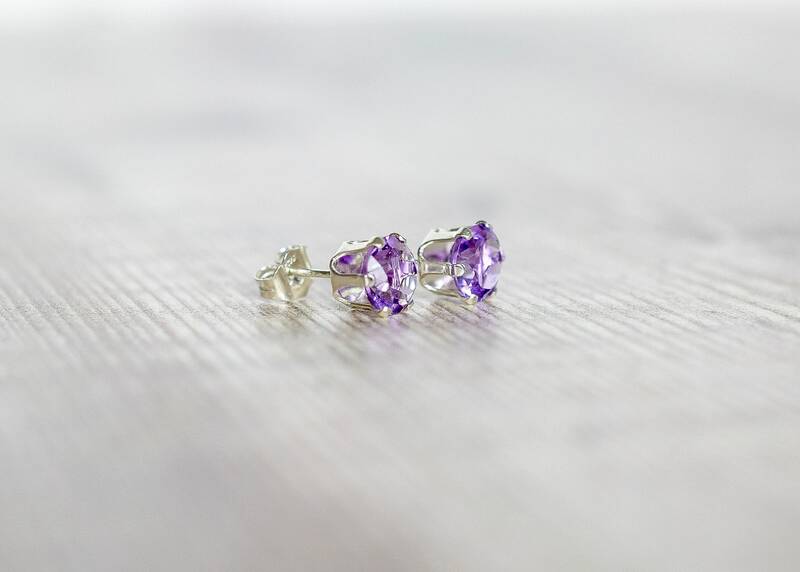 The earrings have butterfly scrolls for backs which are also 925 Sterling Silver. 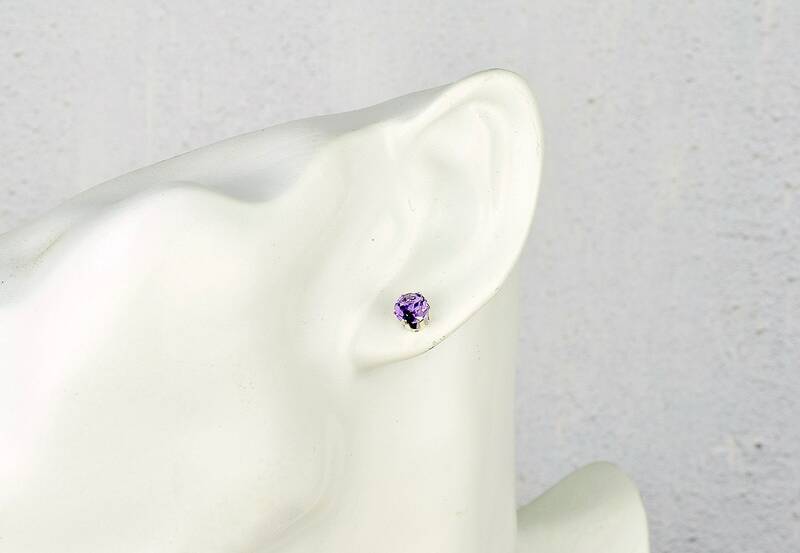 * The Amethyst gems measure 6mm. 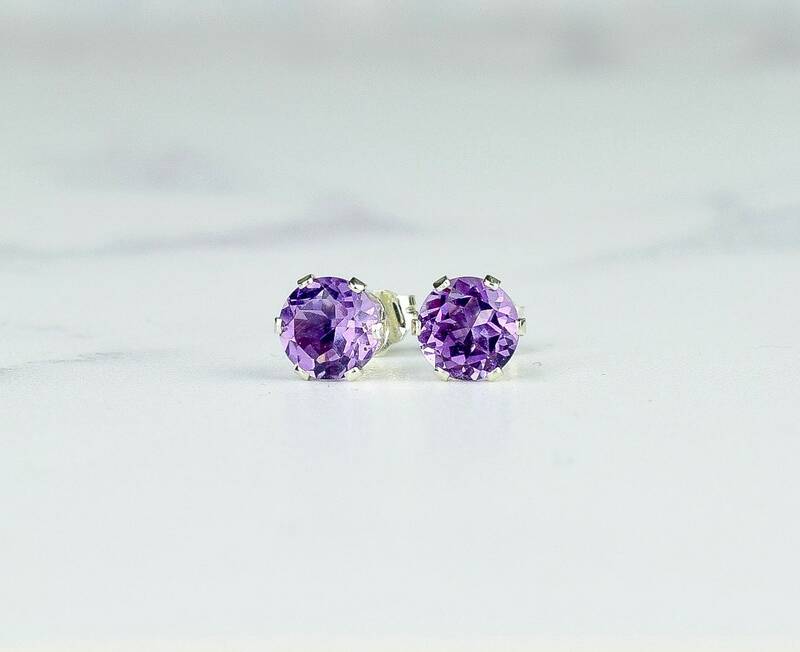 ✨ Amethyst is believed to have an energy that can promote peacefulness, happiness, and contentment.